Pointers – whether at South Point School or at South Point High School – look forward to spending fruitful hours in the spacious, airy and stimulating ambience of Libraries. Here, books of an amazingly wide variety are neatly arranged in shelves. Seating is most comfortable while helpful and knowledgeable Librarians are there to guide the pupils through thousands of titles. 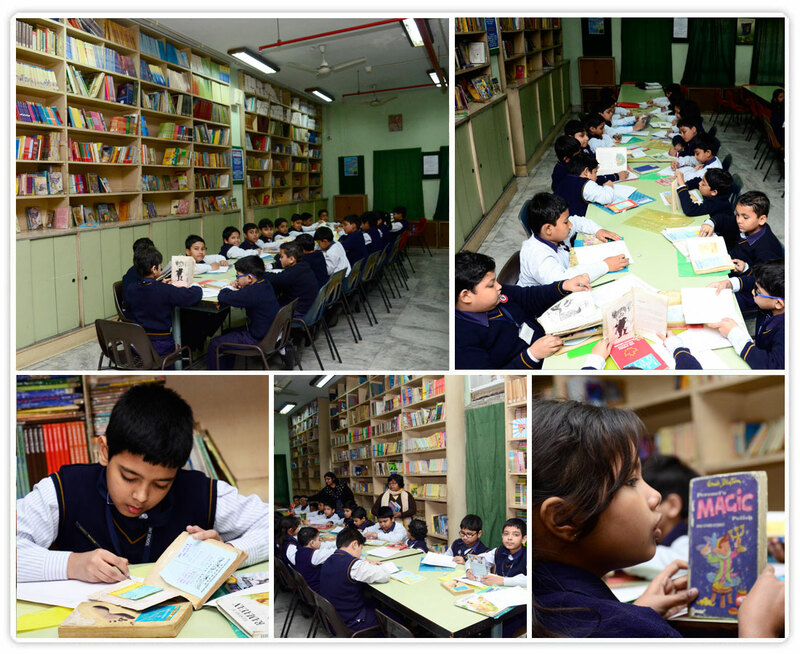 The Junior School Library offers students a collection of nearly 23,000 volumes, most of which pupils can borrow. Classes I to V are free to take a book home for a week. Reference books, including encyclopaedias, encyclopaedic dictionaries and informative picture books are there to enrich the learning process of little Pointers. They can also access comics and cartoon books at the Library itself. Library hours are from 9 a.m. to 5 p.m. on weekdays. There are also classroom libraries for Classes I, II and III – books can be taken by pupils from there too. To cater to the needs of senior Pointers, the High School Library houses a collection of nearly 35,000 titles, including magazines, newspapers, periodicals, subject and general reference titles besides help-books for competitive examinations which they can either borrow or browse through. Internet facilities and educational CDs supplement classroom teaching in High School. 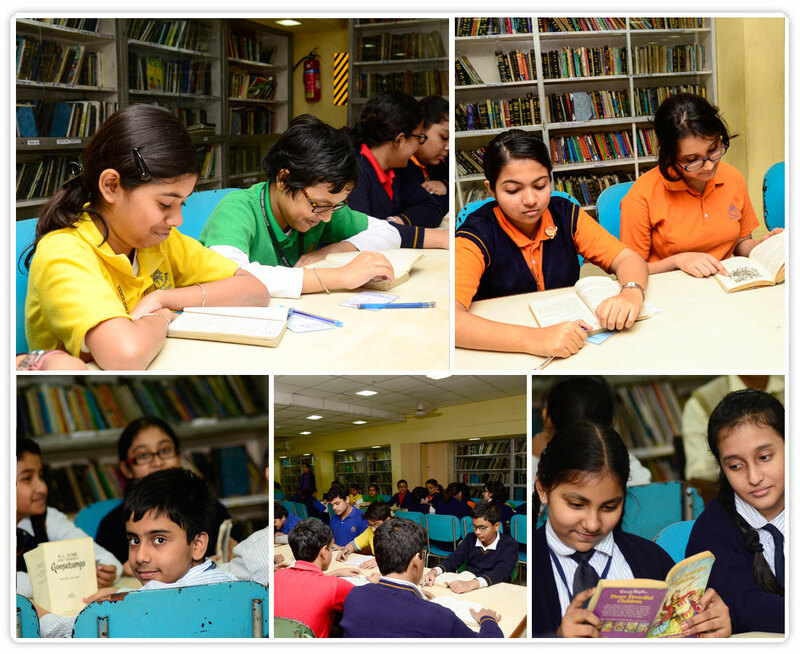 Library Membership Cards are issued to students at the beginning of a session which they must return before the Annual Examination or in case of leaving School. Duplicate Library Cards are issued on payment of ₹ 10 at the Fees Counter. Library Cards are non-transferable. No pupil is allowed to enter the Library without a valid Card (with a photograph attached). Pupils are advised to bring the loss of the Card to the Librarian’s notice immediately. A book issued must be returned within the date stamped on the date label. It may be renewed if no other pupil has placed a request for it. Before entering the Library, personal things such as bags, portfolios, attaché cases or books not meant for the Library, must be kept outside. Access to the Reference Section is allowed only with the Librarian’s permission and a valid Card. Members must check the condition of a book before borrowing it. A torn/damaged book must be brought to the Librarian’s notice immediately. If borrowers are held responsible for the loss, damage, defacement or mutilation of books, they will have to compensate the Library in a manner to be determined by the Librarian. The Library is the place for study only. Books returned late and misuse of the Library may result in temporary or permanent withdrawal of Library privileges. Users must maintain silence inside the Library. They must observe the basic principles of Library ethics and follow the discipline enforced by the Librarian.